Gwendolyn Phillips is no stranger to Bryan/College Station Habitat for Humanity. Her father, Willie Phillips, was our fourth homebuyer back in 1993. Mr. Phillips and his seven children moved out of the projects and into their very own home where they could finally play outside in the safety of their own backyard. Gwendolyn, being the oldest, also got her own room for the first time in her life. 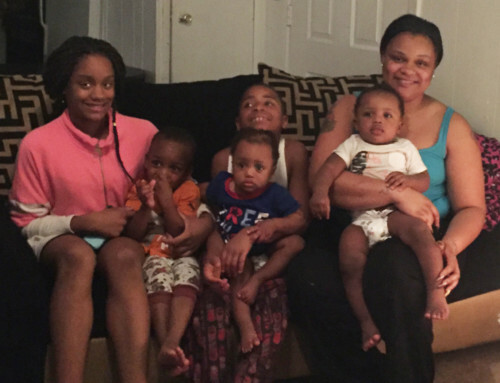 Living in a home of their own, Mr. Phillips’s children had the stability to do well in school and thrive. For Gwendolyn’s brother, Chris, who was struggling with ADHD, having a stable environment helped him overcome the disability. He is now a teacher, helping other kids with ADHD. Gwendolyn has worked at Texas A&M’s admissions office for the past 14 years. However, like so many in our community, finding decent and affordable housing is difficult. 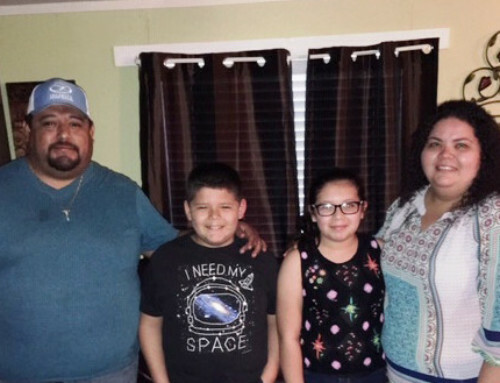 As a single mother of three and caretaker for her nephew, she cannot afford the high costs of three-bedroom rental units. But like all parents, Gwendolyn wants to provide the best for her children, a home with rooms of their own where they can flourish. That’s why Gwendolyn came to a Habitat homebuyer informational meeting and “made sure to cross the ’T’s and dot the ‘I’s” on her application. 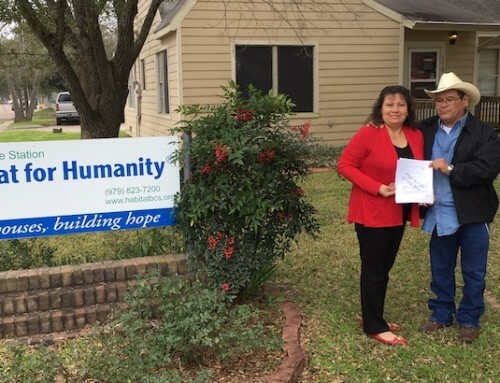 It was a memorable day last spring when Habitat’s Program Manager, Felipa Sanders, called Gwendolyn to the office and told her that she has been accepted into the program. Gwendolyn began completing her required sweat equity hours right away. She would come in during her lunch, even if it was just for an hour. She also enjoyed the homebuyer classes that covered topics ranging from finances and home maintenance to fire safety and gardening. Gwendolyn is looking forward to starting her own garden, even though she says she doesn’t have a green thumb. We raised the walls of Gwendolyn’s home in May with the generous support of local businesses that are a part of our annual Corporate Challenge builds. No one was more excited than Gwendolyn.